Many patients in their late twenties and early thirties come in complaining that they once had perfectly straight teeth, and now they don’t. Today there is a discreet way to straighten teeth without the traditional metal braces and wires. Invisalign can correct crooked or misaligned teeth with a series of clear plastic removable appliances that look like bleaching trays. Impressions are taken of your teeth to create 18 to 30 sets of aligning trays that incrementally move your teeth into the desired position. Each set is worn for about two weeks and removed only for eating and hygiene, before switching into the next set. Cases can take anywhere from 6 to 18 months. Some complex cases may not respond as well and may need traditional braces. Not every patient is willing to undergo orthodontics, so porcelain veneers may be another option, especially if teeth are discolored or malformed. Often, Invisalign is used in conjunction with porcelain veneers to move the teeth into correct positions before putting veneers on. Another option is wearing Invisalign on the bottom teeth and having porcelain veneers done on the top teeth. To keep teeth straight, we recommend wearing a retainer for life. If you do not, chances are great that relapsing will occur. Your last set of Invisalign trays can serve as your retainer for some time and a traditional retainer can be made when necessary. When considering Invisalign treatment to improve your smile, choosing a Smile Stylist will help you get those great results. Smile Stylists focus on having a cosmetic dental office, which means that they are improving the smiles using everything from Invisalign to Porcelain Veneers for their patients. They study and teach the characteristics of smile design that set up a great looking smile and use their knowledge when delivering Invisalign to patients. If your teeth are getting crooked, especially crooked bottom teeth or crowning on the bottom teeth, think about Invisalign to straighten your teeth. Crooked teeth will only get worse as you get older, making them more difficult to straighten. The biting edges of crooked teeth wear down at odd angles. When they are straightened with Invisalign, the edges wont be even, because of all the tooth wear. Be proactive and correct minor crowding before it gets bad. 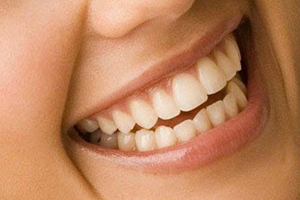 Crooked teeth also stain quickly and it is tougher to whiten crooked teeth. Straight teeth whiten better and can be kept clean. Don’t forget to wear your retainer. Most patients that wear Invisalign need to think about wearing a retainer while sleeping to maintain straight teeth. The bottom line is that tooth movement in dynamic and can occur constantly though out life getting worse and worse. Think about taking control of system with Invisalign and maintaining a beautiful and healthy smile! People with crowded teeth tend to be more likely to get dental cavities, gum disease and broken and worn teeth. Smile Stylist prefers to have patients straighten their teeth with Invisalign before the teeth get destroyed from being crooked and crowded. Prevention with straight teeth is the best measure against oral infections that destroy teeth. A Smile Stylist will set up crowded teeth that are worn and chipped in a way that allows for them to be bonded, whitened and contoured after Invisalign treatment.